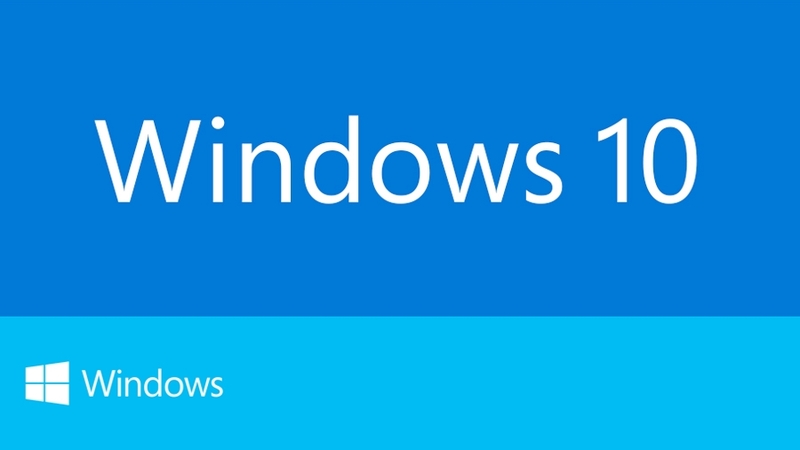 The current build of the new OS is Windows Technical Preview 9841 and is currently at a very early stage. Previously codenamed Threshold, there is currently no Internet Explorer or consumer features like a media player. As we’ve covered before, the e most noticeable change is the new Start Menu, which looks somewhat like the old start menu. A new Home location is the new default view in Windows Explorer. There’s also a Share button on the Windows Explorer taskbar (we really hope this is in the context menu, too). This is the best new thing we found out today. Continum is an on-the-fly mode for 2 in 1 devices that can automatically change mode if it detects there is suddenly no keyboard attached. So, for example, a back button appears to help you navigate the Desktop with touch if the keyboard is removed. We reckon the charms will also disappear in non-touch mode, although we’ve heard conflicting news about that. 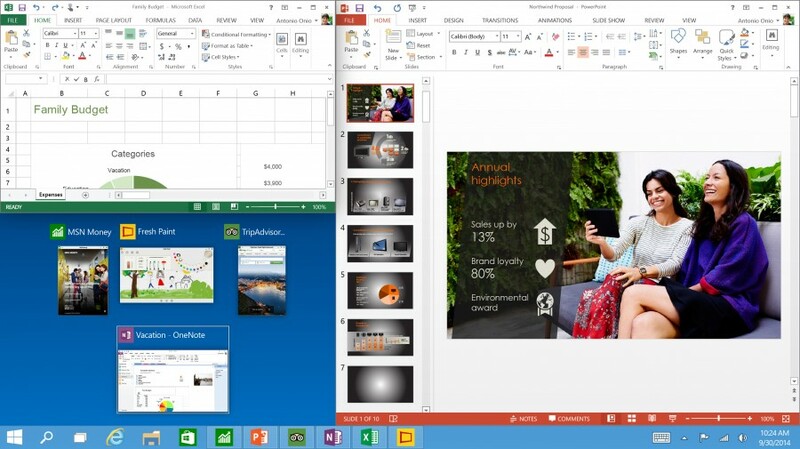 Windows 10 will also usher in a new app model – Universal Windows apps. 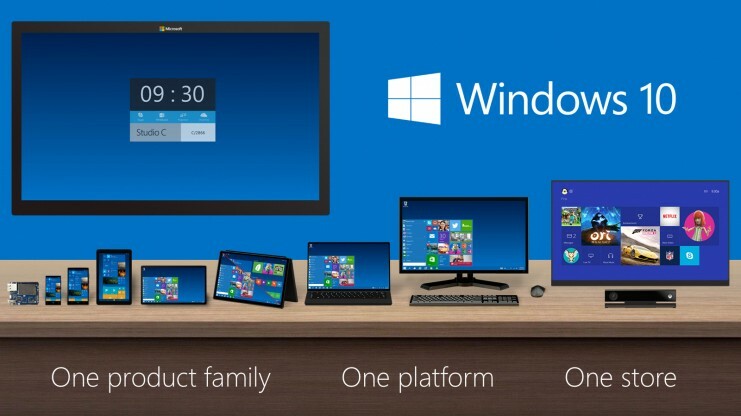 Windows Universal apps are the new name for Metro apps/Modern apps/Windows Store apps. Take your pick on those old monikers, they’ve got a new one! Presumably (although we don’t know as yet) that these will also work on Windows Phone. Windows 10 will be able to run on all devices from phones to servers and there will be a single app store across the lot. 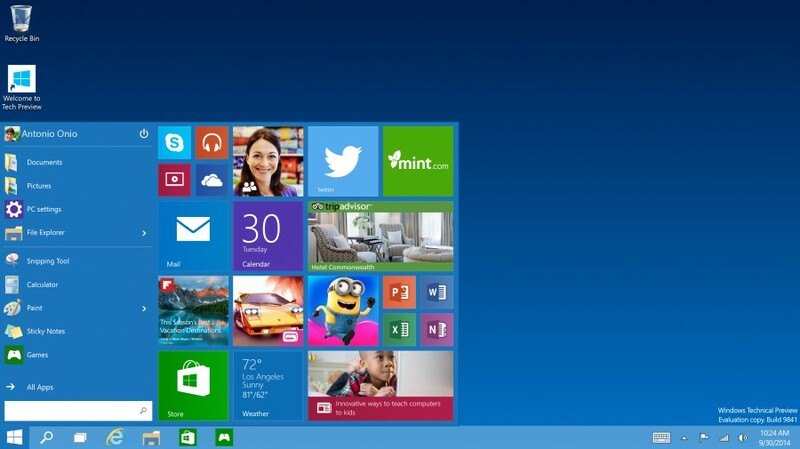 All older Windows Store apps will work with Windows 10. 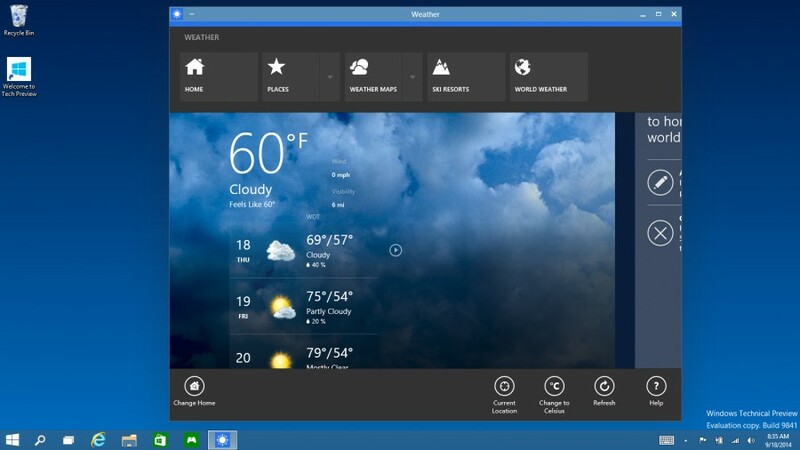 The new Universal apps also work on the desktop and ‘float’ in their own Windows. 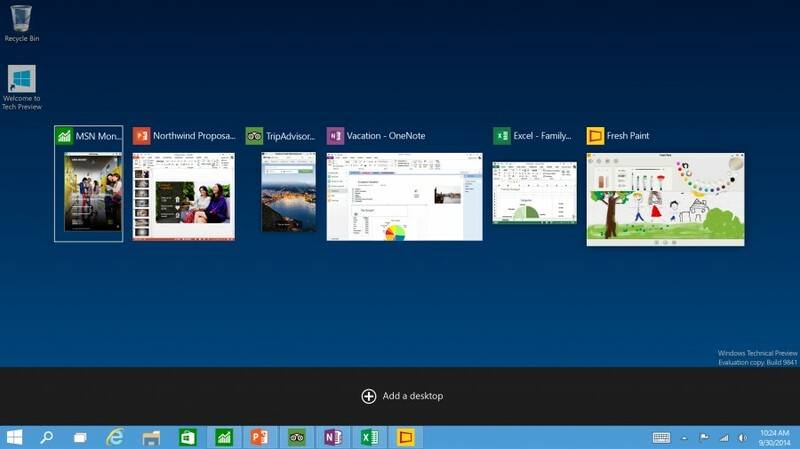 Microsoft wants to banish the separation between the Modern UI and the Desktop. These ‘modern’ apps on the desktop have a … icon for more options – replacing the commands that used to be in the charms on the right-hand side of the screen. 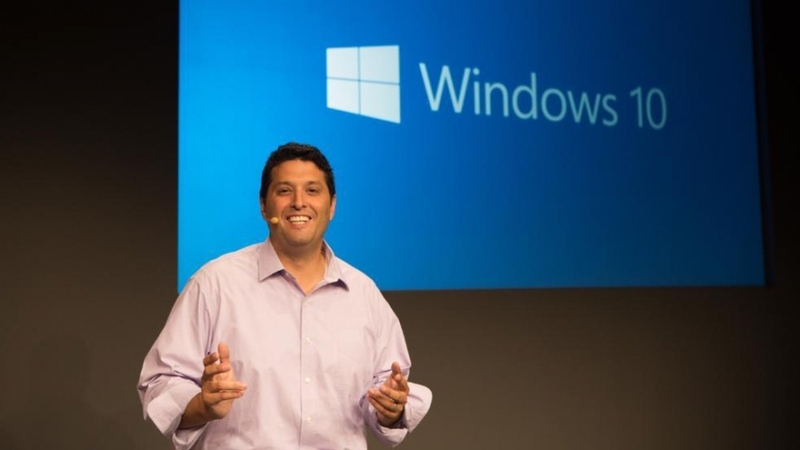 Microsoft says it hopes to appeal to business with this release of Windows, more so than Windows 8 ever did. Belfiore said they were “starting the dialogue with businesses today”. This version of Windows will have plenty of other features for enterprise, including a customised store and protection for corporate data. Mobile Device Management will be able to be used for all devices. 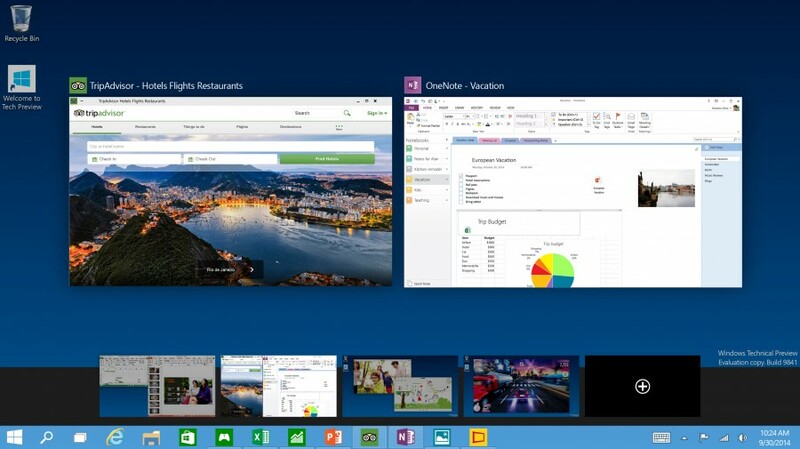 Windows 10 will keep personal and corporate data separate.